Soros is an International criminal. -W.E. Billionaire globalist George Soros has become the target of a $10 billion lawsuit that accuses him of being a "racketeer billionaire" and manipulating the politics and economics of Guinea, a sovereign African nation, for his own benefit. In April, the lawsuit (BSG Resources (Guinea) Limited et al v. Soros et al) states that "Mining companies associated with Israeli billionaire Beny Steinmetz accused investor George Soros in New York federal court Friday of being a 'racketeer billionaire' who extorted and smeared the Steinmetz entities to steal the rights to an iron ore deposit in Guinea, costing them $10 billion." Many media outlets have barely given coverage to the lawsuit. Interestingly, as opposed to innumerable civilians directly affected by Soros’ notoriously shady string-pulling, the lawsuit originates with the billionaire’s peers — who claim his monied influence bilked them of at least as many billions as claimed. Steinmetz was arrested in December 2016 over allegations he and BSGR forked over millions in bribes to government officials for mining rights on Simandou — but those charges had been based on “fabricated reports by Soros-funded companies,” BSGR explains in its suit. “Soros’s financial clout gave him power over Guinea’s processes of government, which he then thoroughly abused," reads the lawsuit. Even in his own home country of Hungary, representatives think Soros is a criminal. When it comes to American politics, one doesn't need to look far to see Soros' fingerprints there either. A spokesperson for Soros claims the lawsuit is simply BSGR wishing to deflect scrutiny of its own wrongdoing towards Soros. 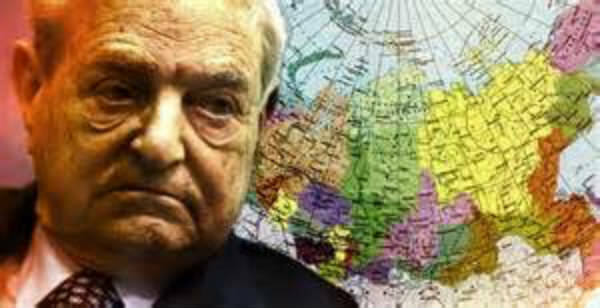 Whether BSGR is engaged in wrongdoing or not, there has been a plethora of evidence that George Soros should be a indicted on several charges when it comes to the united States alone. He is an enemy of America and we recounted ten reasons why he should be considered as such in a previous article. Here are those ten reasons.